Some of my favorite things all wrapped up in one big pile of awesome. Daft Punk, amazing clothing, and beautiful black and white fashion photography. 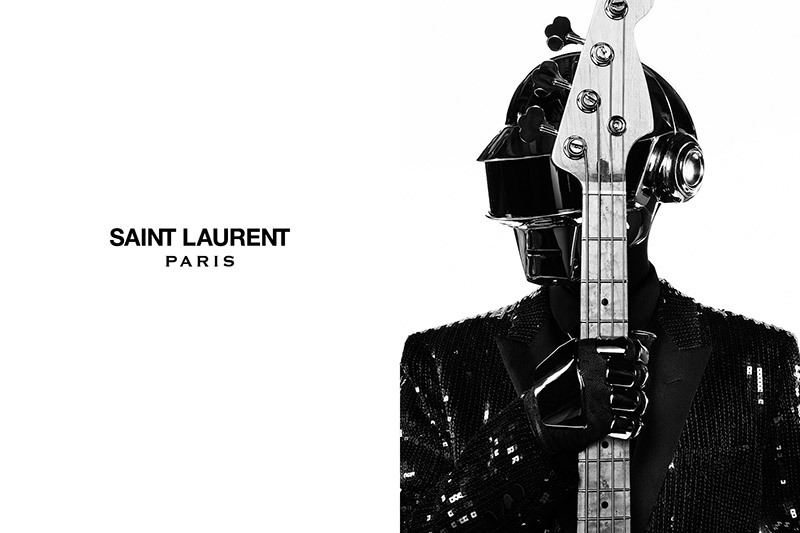 Daft Punk has been collaborating with Saint Laurent (formally Yves Saint Laurent) since late 2012 on various projects, including the soundtrack for their runway shows. Pictured here wearing specially made stage wear designed for them. The Saint Laurent "Music Project" is a collaboration between the fashion house and various musicians photographed in permanent pieces from their collections.